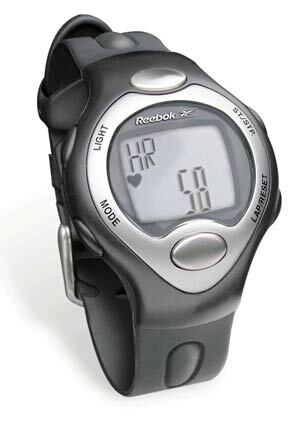 Control the intensity of your workout and improve your performance with a Reebok heart rate monitor. Use it to monitor your heart rate and take your fitness program to the next level. The Reebok Strapless Heart Rate Monitor gives you accurate ECG readings without the use of a chest strap. Just press the touch sensors to check your heart rate any time.